About Gibson Brothers Furniture | Gibson Brothers Furniture Inc. About Gibson Brothers Furniture | Gibson Brothers Furniture Inc. 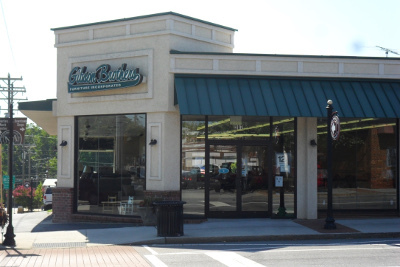 When you shop with us, you can expect high-quality furniture, great service, and value that can’t be beat in Mooresville! At Gibson Brothers Furniture, we have been in the furniture business over 60 years as a family-owned and operated business. We believe our customers should come first and that our service should reflect the same high-quality furniture that we provide. Whether you are shopping for the first time, you need a single piece, or you are upgrading your furniture by purchasing a whole set, we have the selection and service to meet your needs. Quality – At Gibson Brothers Furniture, we are proud to carry high-quality furniture made here in the USA. If you want to purchase furniture that will last, you’ve come to the right place when you shop with us. Service – We strive to provide a comfortable sales environment. We provide friendly, courteous service that includes making great recommendations and free delivery within 30 miles so you can enjoy your furniture right away. Value – Being a family-owned and operated business means that we take you as a customer seriously. We’ll spend quality time with you, getting to know your needs, so you can choose the right furniture for your home and your needs. It’s easy to pick up a sofa at a big box store – but wouldn’t you rather get a high-quality living room set that is comfortable, customizable, and meets the needs of you and your family in Mooresville, North Carolina? Come by and see us at Gibson Brothers Furniture today, so we can help you choose new furniture for your home!